Keywords are the most important aspect when it comes to online marketing. Your entire marketing strategy revolves around that one small factor called a “keyword”. Webmasters spend a lot of time and money to find different keywords that yield maximum benefits. Below I’ll teach you more about the importance of keywords and the how to choose the right one for your website. A keyword is the word which explains your entire website. When you start a website, no one knows that your website exists. To let the world know, you should market a specific keyword. This will help the search engine to know when a user searches for that particular keyword, your website will be shown in the search engine result page. It is the only way an user can discover your website, unless you are doing some offline marketing for your web address. Many people refer to this online marketing as SEO. Keywords can be optimized by pay per click (PPC) campaigns and by search engine optimization (SEO) campaigns. Keywords should be optimized for being indexed in the search engines. Search engine campaigns can takes ages for displaying your website on the first page of the search engine result page. PPC plays an important role in displaying the keyword in the first page without much effort and for a simple cost per click. Every time someone clicks on your ad that you product, they are taken to your website and you pay for that click. Google AdWords is one of the best tools for analyzing different keywords for your website. You just need to enter the website and the google adwords will come up with the list of potential keywords and also the competition level for the various keywords. 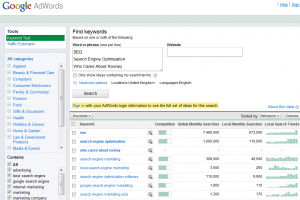 There are other free keyword research tools found online to aid your selection of keywords. These tools will help you in selecting the appropriate keywords for your website. To find if the keywords give any traffic for your website, only time and research can tell. You will also want to pay attention to how well the people are converting on your website and the bounce rate. When you website is not getting enough traffic for a particular keyword, you can try changing the keyword and see if you get better results. You need to analyze and change keywords to find the right keyword for your website that will give you maximum traffic possible. You can also try PPC campaign for various keywords simultaneously to find which yields best result. PPC is the only campaign which aids you in finding the right keyword that gives real and proven results. 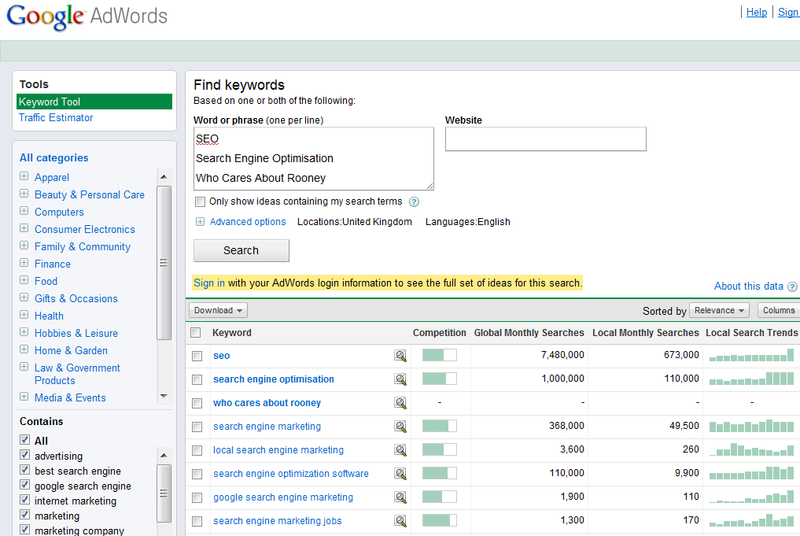 You can find the Google Keyword Tool here. A lot of webmasters make the mistake of selecting keywords by their gut-feeling. They also do not realize that the problem lies with the wrong selection of keyword and wonder why they do not get enough traffic for the website. The only way to avoid making such mistake is by campaigning for maximum number of keywords at the same time. The difference in the number of visitors for the different keywords will give a clear idea of which keyword works best for your website and which doesn’t. Spending a lot of time and money on keyword selection at the beginning stages of marketing will save you from a lot of trouble in the later stages.